Gemma The Family Girl : How to stay motivated to blog when you just want to give up. How to stay motivated to blog when you just want to give up. Last week, I secretly started to feel down about my blog and felt that I will never be able to compete with the top bloggers. I guess these feelings where brought on after the release of the Tots 100 scores which weren't as good as I expected them to be. Yes, I know Tots 100 is based more on how well you promote yourself on social media and not the quality of the blog but it's still gets to me. A few days later I told myself to stop making blogging a competition and start remembering why you started your page in the first place. I started blogging as a distraction from the horror that was my breakup from my husband and as a tool to help me through the lonely evenings. I love the blogging community especially. I love that I can log on to twitter or Facebook and there will be someone there to chat to day or night. I love that you can pour your heart out in a blog post and people will comment messages of support and offer additional advice. One time someone told me I was an inspiration to them, that meant so much to me. People who send me such encouraging messages really motivate me to carry on blogging but as we all know, the upkeep of a blog is tough. You can go from having so many ideas one month, and then have nothing to write about the next. Also, there are always new bloggers emerging, so the competition to get your blog noticed is getting harder. Companies are spoilt for choice for bloggers to work with so you really have to work hard to stand out. Your life is massively effected. Blogging has literally taken over mine from the pressure to keep up my presence on social media, taking photos for posts, replying to emails and of course spending all evening typing away on my computer. It is especially hard to keep blogging if no one reads that post you spent four hours working on the night before. You are putting all this time and effort into your blog so what is the point of carrying on if no one is taking an interest in your voice and opinions? It is so easy to feel so worn out to the point you never open your blog up again, especially if you are doing all this hard work for free like I am. I have been looking at ways to keep up my blogging mojo and thought I would share some ideas with you guys incase you feel the same way. Creating regular features helps to prevent 'blank screen syndrome'. Some ideas that you could do are: Things I love Mondays, Blogging tips tuesdays, Wish list wednesdays, weekly round up fridays and so on. Or here's a good one: Write a post about ways to re-motivate yourself to write. I like to do a weekend round up on Monday, blogging tips on tuesdays and I tend to fill up the rest of the week with my link up contributions. If you are stuck for ideas, read other blogs that will inspire you to be a better blogger. Whether it's great features, photography ideas, amazing writing, or link ups etc. I find that the more inspired I am to be a better blogger, the more motivated I am to succeed. Don't write a post just because it's what everyone else is posting on their blogs. If you don't like writing about your personal life or posting amazing cake recipes, you don't have to do them! You make the rules for your blog and you decide what it is about. Don't feel pressured to write something you know nothing about just because you are scared of not fitting in with the other blogs, you just won't enjoy writing if you do this. Someone told me that the more unique the blog is, the more likely it is to stand out and become successful. One way to burn yourself out is to put too much on your plate. I often try and show off my amazing multitasking skills by doing everything, but I know that if i do my blog will suffer. This means that I am going to have to turn down opportunities now and then, but my sanity is more important. With my home life as it is, there is no way I can commit just yet to extra projects. It will just be too stressful. I have to remember blogging has to come after my family, friends and job. If they start getting affected, I will need to dial back the blogging a little bit. My advice is if blogging gets too much for you, step away from the computer and take an internet holiday. I always find that when I take a break from blogging, I feel refreshed, full of ideas and much more excited to write. For me to stay motivated to blog, I need to remember that I am blogging for myself. This is the internet so of course you are going to come across people will dislike your blog but there are also lots of people who will love what you do. Concentrate on the positive people who will provide you with the all important praise and encouragement. Also don't worry about losing followers. It used to really affect me but now I have realised they are quickly replaced with people who do enjoy your blog but remember stats aren't everything. I try to keep a clean home environment but with two boys its hard to have a clear space to blog on. When I sit down to write it is important to me to create a comfortable and calming environment. If my desk is messy, it demotivates me because I don't want to sit there or it distracts me away from my writing because all I can think of is cleaning it up. It is the same with my blog layout too. I wanted to create a clean space which is aesthetically pleasing. I am the type of person to click off a blog page if the design makes me cringe so I wanted to create a space that I was simple and I was happy to work with. Do not take them for granted. If you post a blog series on a set day and time, your readers will be there waiting to read it. They come to you for a source of information/inspiration so don't let them down, they might not return. I hope some of these tips helped. What ways do you motivate yourself to sit down and blog? It is so disheartening not to get the score you expect. Blogging isn't a competition is your creative space and I wish more people would see that. Thank you Tracey. Such fab tips! I always feel a little disheartened when the tots scores come out but I started my blog purely for me as a way to store memories so everything else is just a bonus! 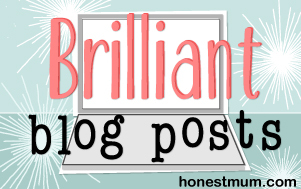 Your blog is fab and it really shows that you spend so much time on it! These tips are fabulous and if it’s any consolation at all I bloody love your blog and very happy to have found you! Thanks Amy. I have heard that a lot of people are starting to get upset with tots 100. I don't understand how it works but your blog is great so don't let the sudden drop get to you. I bet it will go back to 500 next month. I always say I am going to leave tots 100 because it's making blogging stressful but I am still wrapped up in the madness of it all. Have you seen Teads and Rise? They have more accurate scores. Brilliant tips. It seems to me that you have a lovely blog, with fab content - I'm positive you will get where you want to be eventually! I need this today. Right about now. Thanks for sharing. Lots of good advice. It seems like weekly I have ups-and-downs when it comes to blogging. I think it is just being tired and lack of sleep. I have lots of ideas. I take some photos and think about what I want to write but then I can't find the time. I think you are doing great! Great advice, and love your honesty. It's so hard to not compare yourself, your blog or your success with others, but I just keep telling myself to run my own race!! Hey Gemma, thanks for these tips, I too get disillusioned often about the point of blogging and the better blogs out there. It's a hungry beast but I'm glad you can remember the satisfaction you get form working so hard on it. Thanks for reminding me, too. It is very easy to lose motivation if things are not progressing exactly as you want, I think they key way to avoid this is to start setting goals that are not based on others (it is easy to get despondent if you are always chasing someone else), each goal you hit will boost you a little more (so make sure you set some easier to achieve ones). I'm a terrible blogger, but after getting over that I reminded myself why I started in the first place. I only post twice a week, so the pressure is off and I break all the blogger rules about social media and other related stuff. I want to be a better blogger, and I want more love from the blogging community, but I'm also happy with what I manage since it doesn't take too much of my time. You sound a lot like me Gemma - I'm incapable of not making it a competition and if I get into that mindset and do too much looking around I'm like, what's the point I'm never going to win. Win what?! #1 on the Tots? Honestly!! I then have to go through everything you've done here and remind myself it's not about that!! It's about having something to do, something I love and having some fun with it. Keep enjoying and don't you dare give up (unless it truely feels right), I love your posts! 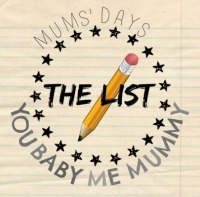 I've lost count of the number of times you've been my featured blogger on #TheList! !